Sue Dormer started her working life as an Archaeologist. With a degree in History and Archaeology from Exeter University and many school and university summer holidays spent working on excavations, a career in archaeology was an exciting and challenging choice. Exciting, because the discoveries on excavations, although often slowly and gradually uncovered like a jigsaw with most of the pieces missing, were always a look through a keyhole into how our ancestors lived. Challenging, because the work was mostly on rescue excavations where time and money was short and it didn’t matter what the weather threw at the sites – work had to carry on. Sue worked for ten years for the Archaeology Department of the Museum of London, starting as an archaeologist, then become a Senior Archaeologist responsible for directing excavations with up to 50 archaeologists, writing up the results and publishing them. Uncovering a previously unknown chapel at the medieval church for Holy Trinity Priory, Aldgate was one of many highlights. Sue moved to become an Assistant Excavations Officer for the last two years at the Museum of London, where she was helping to negotiate with developers for the time and money needed for excavations. She took on the much needed role of marketing and communications for the Department and spent an exciting two years working with the international and national media (TV, radio and national papers) to tell them about the fantastic discoveries being made, which included the location of the Roman Amphitheatre in London, the spectacular hypocaust system of the Roman Baths at Huggin Hill and the location of Shakepeare’s Rose Theatre. 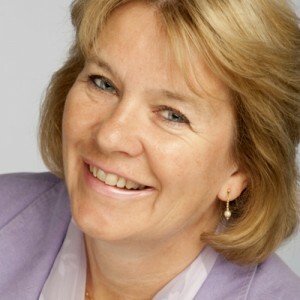 With the end of the construction boom of the 1980s and a significant drop in the number of archaeology jobs, Sue took her communications and marketing skills to two large computer corporations – firstly French company Bull Information Systems and then US giant Unisys. At both companies she worked in Corporate Communications roles, looking after internal and external communications. She handled key issues such as financial results, redundancies and restructuring as well as a factory closure. She handled a variety of key events and issues such as lobbying for changes to the Community Charge system, press relations for the London Marathon, sponsorship of a mountaineering expedition and national cricket squads and a bid for the National Lottery system. Sue set up Viney Communications in 1993 and over the first ten years worked carrying out communications and PR work for a wide variety of clients in the IT and technology sector. Her first client was an exhibition company – Interactive Exhibitions – and she has continued to have a strong skill and knowledge of the exhibition, conference and events sector since that date. Over the second ten years, Sue took the business into broader marketing services to meet the needs of clients. 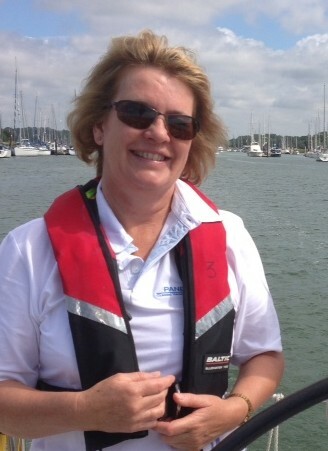 When she re-launched the business as Tradewind Marketing in 2016, the new name reflects Sue’s love of sailing as well as the focused B2B marketing services she delivers for clients.